Do you need to find a lost friend or someone you know who has been missing for a while? Or do you need to spy on your husband to check if he is having an affair? Or you might need to investigate or verify the insurance claims? People are often dishonest and sometimes, you need to find the truth regarding this matter. So, you need to resort to an experienced and reputed investigation agency. We, at Michael McKeever PI, can help. Michael McKeever is a New York-based private investigator with more than 30 years of experience. He is an intelligent, smart, patient, and determined individual who does not rest until he has excavated the truth. So, whether you need to investigate missing person cases, insurance claims, and computer forensics, need a photo or video surveillance, litigation defense, employment background checks, or even surveillance in areas including Manhattan, New York, NY, or NYC, you can rely on us. Before you choose an investigative service, you should ask them a few things. Here, we have jotted down a few questions that you must ask any private investigation company. What kinds of cases have you investigated before? 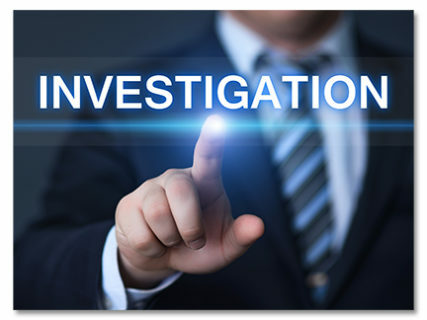 First of all, in order to understand whether the investigation agency or the investigator, in particular, will be right for you or not, you need to check if the company has dealt with a similar case before and has experience in it. So, ask them what kinds of cases you have handled before. If they have worked on something similar to what you need, they will be able to handle your case better. Do you promise to be discreet about the investigation? In many cases, the investigator cannot maintain the confidentiality of the case, and the person about whom you are investigating comes to know. This might make him or her alert. Or it might destroy the relationship you have with them, especially in case of domestic issues. So, make sure the company keeps it confidential. So, what are you thinking? Now that you know about these questions, quickly find an investigation agency. And if you are interested in choosing us, then contact us today. Want to choose the right private investigation services…? The main attributions of a private investigator is to analyze information and find facts about financial, legal and personal matters. Because they lack police power, their work is done with the same authority as a citizen. Thus, they need to be conscious of the law when conducting investigations. Interviewing people to gather information. In order to choose the right private investigation services you should look for a private detective that has qualities such as: patience, resourcefulness, decision-making skills, inquisitiveness and most importantly communication skills. When hiring a private detective, make sure they have a legal license despite the fact that there are no license requirements for computer forensic investigators. 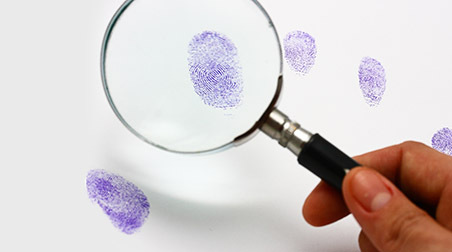 Having a private investigator license can be very convenient because it allows computer forensic investigators to perform related investigative work. Private investigators can also obtain certifications that demonstrate the competence of the candidate. Additionally, certifications can help the candidates advance in their careers. On a final note, we recommend that you reach out to a local private investigator and start asking questions to see if it is a good fit for you. If you have more questions on the matter don’t hesitate to contact McKeever investigation agency. Licensed by the State of New York as a Private Investigator, Michael McKeever has the professional experience and acumen to dig beneath the surface and find the hidden. McKeever has a Degree in Psychology, Sociology and Criminology: fields of study that continue to serve him well as a Private Investigator. Although especially adept at surveillance, the agency offers a comprehensive range of investigative services. You can find them in NY, NYC, New York,New York City, Manhattan. Any case that involves emotions or substantial money needs to be taken seriously. An investigation agency can help solve your case and by doing so they save you money or help to keep you sane. Matrimonial cases can be particularly sensitive, emotional and can also involve a substantial amount of money. If you need matrimonial investigations in NYC or New York you need look no further than the McKeever Investigation Agency. They have years of experience in detective work including matrimonial matters, fraud cases, disappearance case, domestic cases, accident investigations as well criminal cases. Matrimonial cases usually revolve around matters such as infidelity, divorce and custody. These are highly sensitive and deeply emotional matters. Such cases can also have financial implications such as divorce settlements. It follows that any investigation agency involved in such cases should exercise the utmost discretion. If you are involved in a matrimonial investigation you would want the matter resolved as soon as possible. In cases of suspected infidelity you want the truth. You need to know and you need to know as soon as possible. Not knowing can be agonizing and your suspicions can drive you insane. A private detective can help solve your case. A private investigator understands the urgency and the sensitive nature of such matters. He or she knows how to go about finding the proof that you need to either substantiate or discredit your suspicions. Matrimonial investigations can also involve child custody issues and this is also a sensitive and deeply emotional matter. Even though a private investigator can be compassionate and understanding, he can remote objective and carry on with the required investigation without being influenced by emotions and other personal factors. When you need to get to the root of a matter you would do well to engage the services of an investigation agency. This way you can be more confident that your case will be solved and the truth will come out. When you need a real detective in NYC, New York you need look no further than the McKeever Investigation Agency. They say New York is a city that never sleeps. Well if you find yourself in some emotionally draining domestic situation, chances are good you are not getting much sleep yourself. Investigation services are there to help you find the answers and sometimes even the solutions you need to solve your situation and restore your life to normal. Sometimes you don’t know the truth and other times you might know the truth but you cannot prove it. Not knowing the truth can be the most agonising part of a personal dilemma or issue. However you don’t want to make rash and incorrect decisions based on suspicions only. Getting to the truth is what private detectives do. An investigation agency such as McKeever will assign a private detective to investigate and deal with your case. A professional investigator knows how and where to find evidence that is pertinent and important to your case. A private detective knows which records are relevant, who to talk to, who to watch, who to follow, who to question and who to confront. 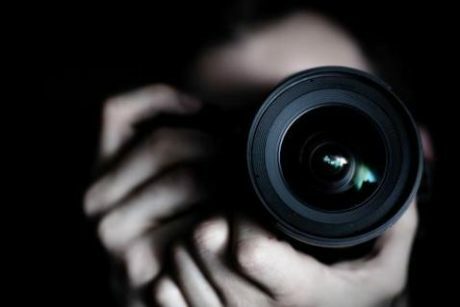 In doing these things a private investigator uses special equipment and tools such as still cameras, telescopic lenses, video cameras, listening devices, tracking devices, tapping devices, computers and related forensics. When you need fast results and reliable evidence then you need the investigation services of a professional detective agency. This way you know the investigation will be conducted professionally, discreetly and objectively. This way you get the evidence you need in order to solve or close your case or mystery. It does not matter if your case is of a domestic, commercial or even a criminal nature. McKeever can help with routine cases, complicated cases and anything in between. Nowadays, with all the possibilities out there, and with our increasing need of money, more and more people are starting to have doubts concerning the people that surround them. This is where an investigation agency may come in hand. This kind of agencies deal with all sorts of problems, and contacting one may help you get rid of all the stress caused by different thoughts and fears. Most of the times, these companies have to deal with infidelity problems. One of the major factors that cause people to think that their life companion may be unfaithful, is that nowadays lots of people work in an environment where they have contact with a large number of persons. Also, because of the economic problems that people and companies all over the world experience, many employees are forced to do extra hours at work. Because of all these factors, even though their lover is not doing anything wrong, people may have doubts about them. This is where the investigation services may come in hand, in order to get rid of the stress and the problems caused by the thought that your partner may be untrustworthy. Furthermore, these agencies also deal with background checks. This kind of service may be useful for companies who want to hire a reliable employee, on an important position in the firm. Background checks are performed by insurance companies to see whether or not the person that they want to sign an insurance policy with has had any antecedents in various fields (such as car accidents, in case of an auto insurance policy). So we can easily say that the services offered by an investigation agency may come in hand for lots of people all over the world, and you no longer have to worry about not finding one, since they can be found almost everywhere from big important cities such as New York to regions in South Africa. If your dream job is to work in an investigation agency, you should read this article to find out what you have to do in order to become a private investigator. You should be very careful when choosing the field you want to work in, because you can also choose to become a crime scene investigator, which requires more training, but it is also more rewarding than working as a private investigator. First of all, you should do a little research to see what you have to do in order to become an investigator in the state where you live. In some cases, you only need to do some online training in order to work in an investigations agency, but in other cases you will have to follow a college-level certification program, that will teach you everything there is to know about what sill you have to do. After that, you then have to find a university that offers such courses in the area where you live. This can easily be done using the internet to help you, and because these services are available even in areas such as NYC, and New York, it should not be hard for you to find one. You can then choose to follow a specialty, such as civil, or governmental investigations, or you can offer multiple services. A very important part of being a successful investigator, is having the right equipment for the job. This means that the initial investment you will have to make when buying such equipment can be pretty expensive, so you should start saving money in advance. In conclusion, we can say that if you want to become an investigator, this is not a hard job to achieve, but you will need some special skills and equipment in order to become a professional. It is not pleasant to be betrayed, lied to or cheated on. Unfortunately these things happen and often it is those closest to us that inflict the pain and damage. Maybe you have a suspicion that something is wrong and someone is up to no good. But suspicions are no more that speculation and without concrete evidence they will just remain suspicions. The best way to get the hard evidence is to use the services of an investigation agency as they have the detectives and investigators who know where and how to find evidence related to your case. McKeever is a detective agency in NYC, New York and they have the right people to solve your case. It does not matter whether your case is of commercial, personal or criminal nature, they have the right detectives, resources and contacts to solve even the most complicated cases. When you need to decide which investigation agency to employ, you should preferably use one that is state licensed and accredited. The McKeever agency is not licenced by the State of New York, but has grown and developed over the course of three generations. A professional agency is one that will deal with your case in an effective and discreet manner and has that unique edge to investigate sensitive matters, reduce risks and resolve disputes. An investigation agency does not only deal with matters of intrigue and risk. In fact most cases are routine in nature and can involve everyday things such as accident investigations, personal injury claims and background checks. So never think your situation is to basic or mundane to warrant the services of a private detective. A detective knows how to gather information, whether it relates to infidelity, motor vehicle accidents, insurance fraud, custody matters or simple background checks.